I’ve been growing out my hair for the last five months and thus not getting it cut on a regular basis. I am at the tail end of this torture and plan on getting my hair cut within the next two weeks, but as I wait my hair is a disaster. The folks at The Name is Product, were listening to my plea for help with my unruly hair a few weeks ago and sent me some Product. Well did it save me from ‘mom hair’ hell? Well. Lets talk about my hair first. Its been so long since I got a hair cut that my hair is really weighed down with dead ends, so the natural wave-y awesomeness that usually happens is just not happening anymore and all of my products are just not cutting it. My hair was basically limp with nothing going on no matter what I did. I’ve basically be rocking a top knot for the last five months. 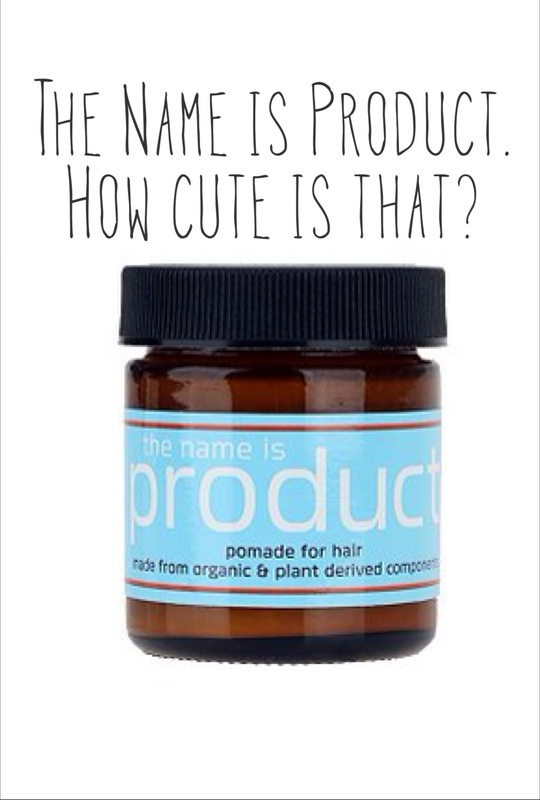 Cue Product, which is basically my current hair styling fave. Product is suppose to defrizz, texturize, soften, condition and glisten. Did it deliver? Um yeah, it totally did. My hair holds its wavy-ness, its not frizzy, looks way healthier than it actually is and has a subtle shine that says I take vitamins. Its basically awesome. Bonus, you can use it as a lip balm too. And when your done putting on your hair you can rub the reaminder into into your hands for a super luxe hand cream. Did I mention that it has only five really simple ingredients, yeah it does, so its super safe too, which just makes me insanely happy on top of my newly awesome top knot free hair! * Full disclosure, this product was provided by The Name is Product. I was not paid for this post. All opinions are my own.